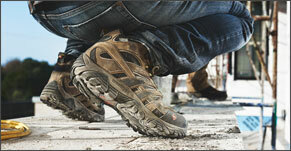 At Merrell, we care about our impact on the environment. That’s why we’re taking a closer look across the board at how we make things. Our new Gridway Collection is the first to benefit from this holistic approach to sustainability. All shoes in the collection are made from recycled materials wherever possible and are built with a singular intent: to last. 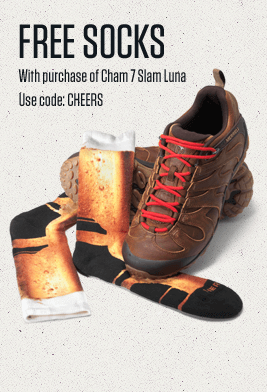 All knit uppers and laces are made from 100% recycled materials. We’re focusing on conserving resources and reusing materials during manufacturing, and on making durable products that don’t prematurely wear out, reducing both consumption and landfill waste. 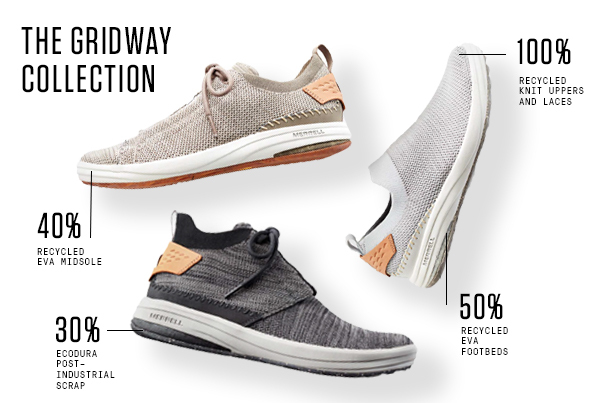 The Gridway Collection uses EVA midsoles made with up to 40% recycled content from manufacturing scraps, and up to 50% in EVA footbeds. We’re committed to reducing our impact on the planet wherever possible. We’re rethinking our processes, reducing waste and inefficiencies, and reclaiming used or unwanted products and materials. Exclusive to Merrell and used throughout the Gridway Collection, the EcoDura outsole from Vibram® is made with 30% recycled content. We all need to learn more and do more to reduce our impact on the environment. We’re all responsible. At Merrell, we’re going to continue educating ourselves and exploring new techniques in our journey toward sustainable manufacturing processes. 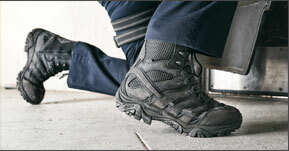 The Gridway Collection is a step in the right direction. 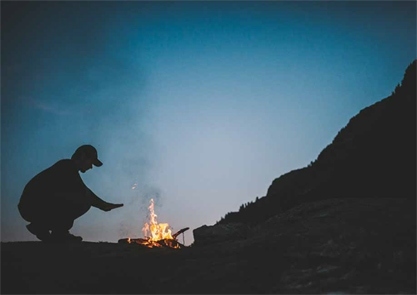 Merrell is donating 10% of all sales, up to $10,000, on November 15th to Keep America Beautiful, the national non-profit behind America Recycles Day, which takes place on and in the weeks surrounding November 15. Merrell hopes this donation will help elevate the importance of mindful recycling practices to consumers. 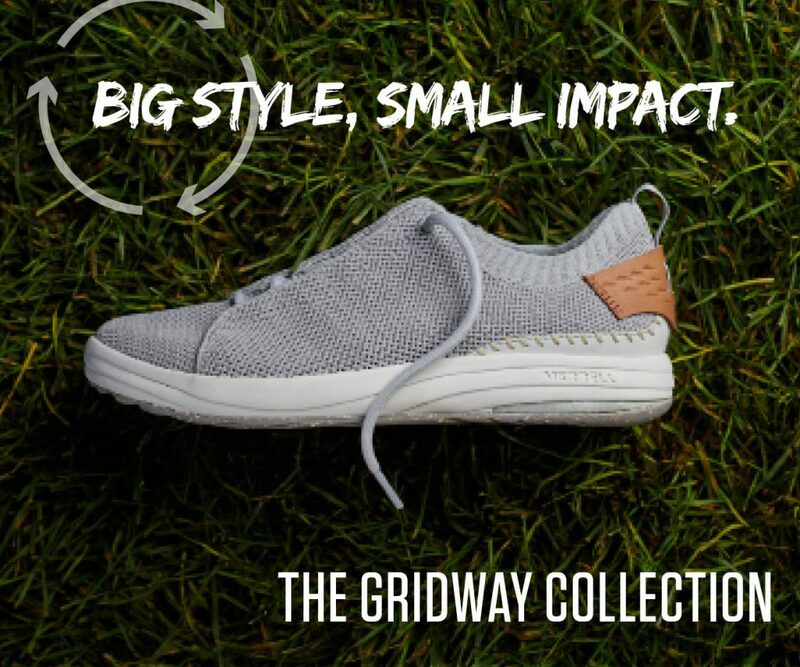 Learn more about the new Gridway Collection.